G. Quinn international can offer a competitive dry freight service fom our base in Donegal Town covering the west of Ireland. Daily services covering Donegal - Sligo - Galway - Limerick - Cork and everywhere in-between. Contact us today to find out how our services could benefit your business. 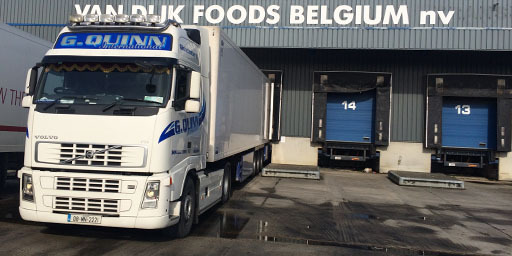 With a Recently added fleet of Euroliners, Curtainsiders, Boxvans and flatbeds, G Quinn International are now proud to offer customers a one stop shop for dry freight throught europe. 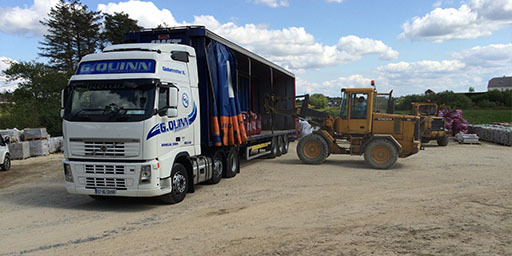 Akward or sensitive loads are carried with care by our small team of dedicated professionals. Time sensitive and temperature sensitive goods are our speciality. There should be no compromise in the quality of your goods due to transport restrictions. Using our 2 strategically placed bases products can get from mainland Europe to the UK or Ireland in record time. 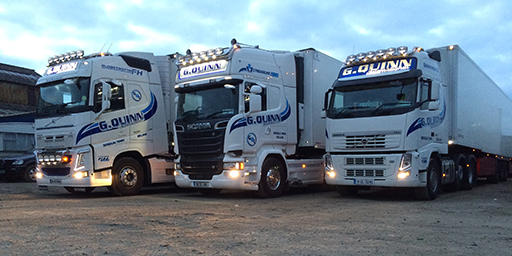 G Quinn international understands that for many manufacturers the supply chain and transport logistics are only a small part of the overall business. 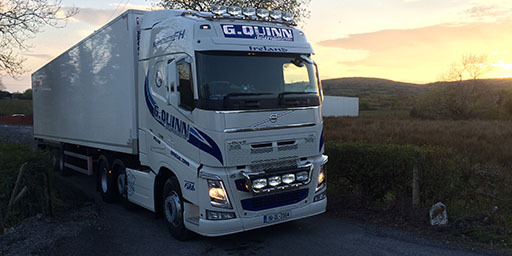 G Quinn International prides itself in creating cost effective, multi-modal freight soloutions for customers allowing them to spend time on developing their existing business and growing further while proving a reliable and stress free supply chain.